Last year, after many years of trying to nail down what it truly means to be an industry wide award show, Geoff Keighley’s The Game Awards finally seemed to hit its stride by becoming the closest thing the video game industry has to an Academy Award style event. Now, trying to set the standard in the anime streaming industry, are the Crunchyroll Anime Awards. What began in December of 2016, The Crunchyroll Anime Awards are slowly looking to become an annual fan-voted award show. Crunchyroll users are able to pick their favourite shows and characters to determine what really was AOTY-worthy. With voting now underway, here are my picks for the 2017 Crunchyroll Anime Awards. “Shadow and Truth” by ONE III NOTES – ACCA: 13-Territory Inspection Dept. If you haven’t already guessed my pick for this year’s Best Opening it is quite obviously “Shinzou wo Sasageyo!”. No other opening score on this list has had the same level of wide spread success. Once again an Attack on Titan opening has taken the internet by storm and generated a new wave of meme videos involving its now iconic theme music. Along with its memetic properties, it is also part of the EPICA VS attack on titan songs cover album, a very rare case where a popular western band covers anime intros, showing the true power behind Attack on Titan’s massive international appeal. “behind” by Karin Isobe, Yuna Yoshino, and Lynn – Just Because! This category was a little bit more difficult to choose than Best Opening, but I think the best choice here is “Ishukan Communication” from Miss Koboyashi’s Dragon Maid. Sung by the voice actresses of the show the ending is bubbly and full of personality, which really captures the spirit of Dragon Maid. Along with a fun song, the visuals for the ending are bright and colourful which really emphasizes the playful feeling that the show focuses on. Once again this category is a simple pick. It is hard to ignore the gargantuan impact that Your Name has had this year. Makoto Shinkai’s masterwork has taken the world by storm, toppling Hiyao Miyazaki’s Spirited Away as the number one grossing anime film of all time. Your Name marries an easily accessible story that everyone can enjoy with magnificent visuals, creating an experience audiences will not soon forget. While many of the shows listed above use CGI to enhance the viewing experience of the audience, Land of the Lustrous lives and breathes it. A show that sort of came out of nowhere, Land of the Lustrous is a masterclass in how to use CGI. From expressive characters to top-tier action, the show delivers visually on every level. Even the smallest of details are taken into account: the characters’ hair, being made of gem stones, will refract specifically coloured light and dapple surrounding people and objects. Land of the Lustrous will act as a benchmark for how to use CGI in the years to come, and is honestly the only choice for this category. One of the standout shows of this past year in anime has to be Made in Abyss. Coming from a manga adaptation the show had fans excited to see life breathed into their favourite Divers. One of the ways it rose to such prominence is through its magnificent soundtrack. Filled with beautiful orchestral scores the music for Made in Abyss sets the tone for this unique tale. Every single choice in this category deserves high praise. Visually speaking there is not a weak pick in the bunch for the Best Animation category. However, with that being said, I have to once again choose Land of the Lustrous. While other shows using CG tend to look noticeably CG against classic animation, Land of the Lustrous’ CGI animation is fluid, and organically merges the 3D models with a 2D world. And this isn’t to say that Land of the Lustrous is just good based on the low standards people have for CG anime. Its use of colour and open space, along with expressive characters and intense battles, easily competes with any other choice for this category. Land of the Lustorous was a surprising delight this year by being a superb example in an underrated form of animation. Fate/Apocrypha continues the tradition of Type-Moon franchise delivering stellar action sequences, making it difficult to pick anything else. Servants based on historical figures battle it out in the Holy Grail War, giving it their all so that their master winds up on top. With this iteration of the franchise Apocrypha turns things up to eleven and is my pick for Best Action. Astounding everyone this year, not only with its amazing tone setting score but with its story as well, we have Made in Abyss. A coming of age tale, two children try and explore the beauty of the giant chasm in their world and in turn find the darkness that lies within. With aspirations of greatness Riko looks to follow in her mother’s footsteps, but soon learns the cost of exploring the depths of the abyss. What looks to be a fun, low-stakes romp with cute characters turns out to be anything but. An interesting look at what it means to grow up quickly in a world fraught with danger, Made in Abyss is the best choice for best Drama. Without a doubt the best comedy of the year is Little Witch Academia. Not only does the show have fun comedic moments, but also amazing emotional depth as we follow the tale of Kagari “Akko” Atsuko. Alongside its comedy also comes beautiful animation, with jaw dropping scenes of wonderful colour completing the package of an excellent and well-crafted anime. No episode encapsulates the depth of emotion this “comedy” anime portrays better than Episode 8: Akko’s Adventure in Sucyworld. It is charming, goofy, and at the end heartwarming as Akko finds herself in the mind of her sleeping friend. Little Witch Academia is the total package and because of that easily is my choice for Best Comedy. While this category has some stiff competition with internet sensation Recovery of an MMO Junkie my choice for best Slice of Life is Girl’s Last Tour. Telling the story of Chito and Yuuri, two girls who ride their Kettenkrad motorbike through a post-apocalyptic world, the show’s intense focus on its main characters allow for a new look at the world they exist in. Chito and Yuuri constantly find themselves having to put meaning to a city filled with mystery as the young girls struggle to survive on the limited resources they have. Truly a unique take on the slice of life genre. How can you disrespect the Monogatari franchise like this Crunchyroll? The conclusive final season of the series, Owarimonogatari Season 2, ends the journey of Araragi Koyomi that started back in 2009 — almost a decade ago. Not only does it wrap up his journey and growth in the series, it is also the culmination of his relationship with Senjougahara Hitagi. Owarimonogatari Season 2 is visually striking and stands miles apart in terms of aesthetic when compared to the rest of the nominees for this category. I could see the show being left off the list if it was a season of average quality, but Owarimonogatari Season 2 delivers a love letter to longtime fans of the franchise in what was an excellent conclusion. Honestly, it’s very disappointing seeing the list of nominations for this particular category. If I were to pick one though, I guess it would be Iron Blooded Orphans Season 2. While I did not pick Recovery of an MMO Junkie for Best Slice of Life, I will pick Morioka Moriko as Best Girl. Bucking the trend of young protagonists, Moriko is a 30 year old NEET who decided to quit her office job and live her own life. A more mature and well-rounded character, Moriko’s relationships are distinctly of the modern condition and thus easily relatable. A loveable ball of nerves, Moriko had us cheering for her from the very beginning, hoping that she would find love. While Morioka Moriko was my choice for Best Girl of the season, it should be noted that all the girls and women nominated were excellent picks — covering a wide gamut of personality and stories. My pick for Best Boy of the season is Todoroki Shoto. Season 2 of My Hero Academia was the proving ground for Todoroki. In the first season we did not know all too much about him except that he was super powerful and the son of the hero Endeavour. In the show’s second season we explore the complicated life of Todoroki, his ambitions, and his mindset, but we also get to see him opening up to the rest of Class 1-A. Todoroki’s journey throughout this season was compelling and exciting, especially when he finds himself fighting. I don’t have a good choice for this category, but I can tell you right now it’s not Usagi from Juni Taisen. While all of these villains are good choices I found that none really stood out as particularly exciting. Each perform their role well while being menacing, or contrary to the protagonist’s ideals. A Char Aznable, or Grifith, these villains are not. I guess if I were to pick one it would be Stain from My Hero Academia Season 2. His ideals are shocking to the young heroes of U.A. Academy who find themselves in a peril unlike any they have found before. It even pushes Tenya Lida to the breaking point, where he must test his resolve as a hero. Stain, a solid, if not overly enthusiastic pick, is my villain for the year. This was a difficult choice for me, I am a huge fan of Little Witch Academia, and by the end of the season I was convinced it was a wondrously magical anime. That being said, if I were to tell you to watch just one anime from 2017, it’s Land of the Lustrous. Land of the Lustrous just has a certain special quality to it. Truly this is the show that stands out: interesting character design, excellence in animation and a beautiful use of colour. The story of Phosphophyllite is a coming of age tale where sacrifice, loss, and pain build strength and character. It’s also a tale where by the end of the season Phos is left to contemplate their motivation and actions, wondering what such things are worth. Land of the Lustorous is not afraid to explore the story of the burgeoning hero and the loss of innocence — this is a story that will stand the test of time. Not Quite as diligent a reader I once was, but even I have caught wind of My Lesbian Experience with Loneliness and its breakout success. The story follows Nagata Kabi in an autobiographical look at her life as she grows up: exploring her sexuality as a young woman, her mental wellbeing, and all the laughter and tears in between. This modern coming of age narrative is a must read, immediately relatable and tackling many issues young folks are faced with today. Clearly with the amount of praise from all angles, as well as its popularity in the West, this has to be the choice for Manga of the Year. That wraps my selections for the Crunchyroll Anime Awards! Starting today (January 22) the voting will commence. Voting will take place over the next three weeks, with the final votes being cast February 11, 2018. Below are the categories and their corresponding voting dates so that you can cast your own ballots for all your favourites. 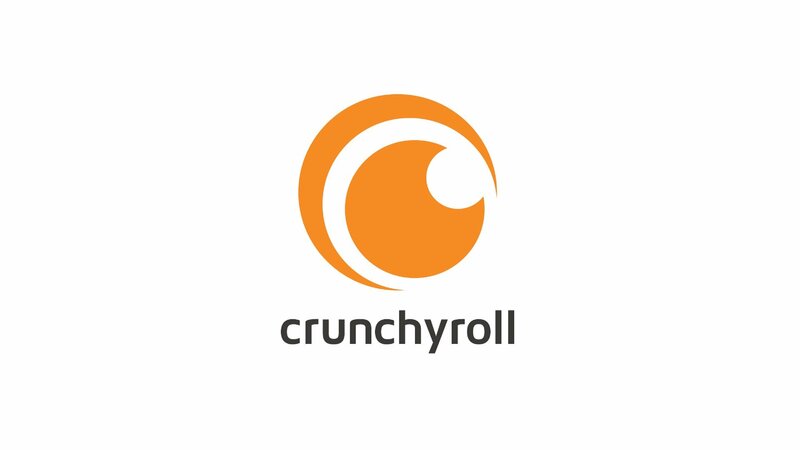 The Crunchyroll Anime Awards will be announced on February 24 at the Ricardo Montalba Theater in Los Angeles, California. Information from Crunchyroll on how you can attend the show will be forthcoming.